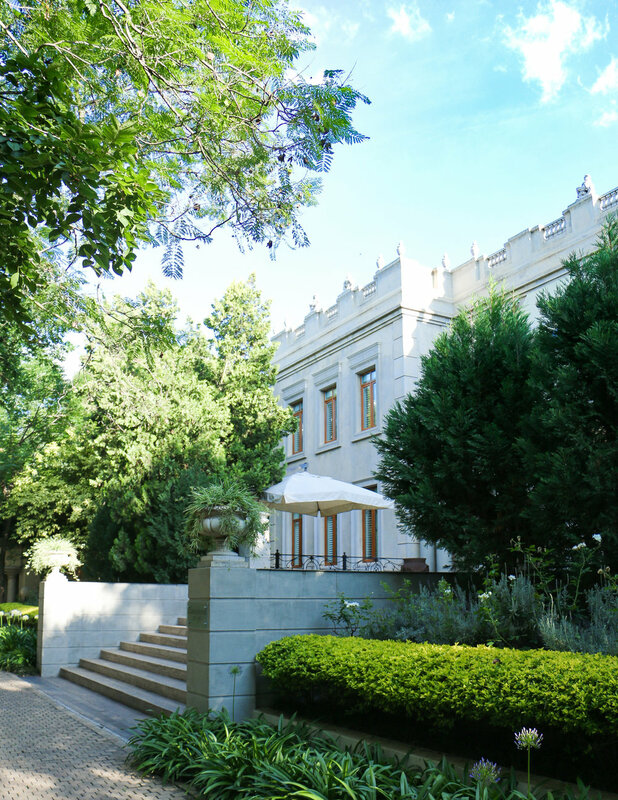 The dazzling Fairlawns Boutique Hotel & Spa is set within an exclusive estate in Johannesburg's premier suburb of Morningside. As its name suggests, the property is surrounded by undulating green lawns of perfectly manicured grass, enhanced by exquisite lush gardens. 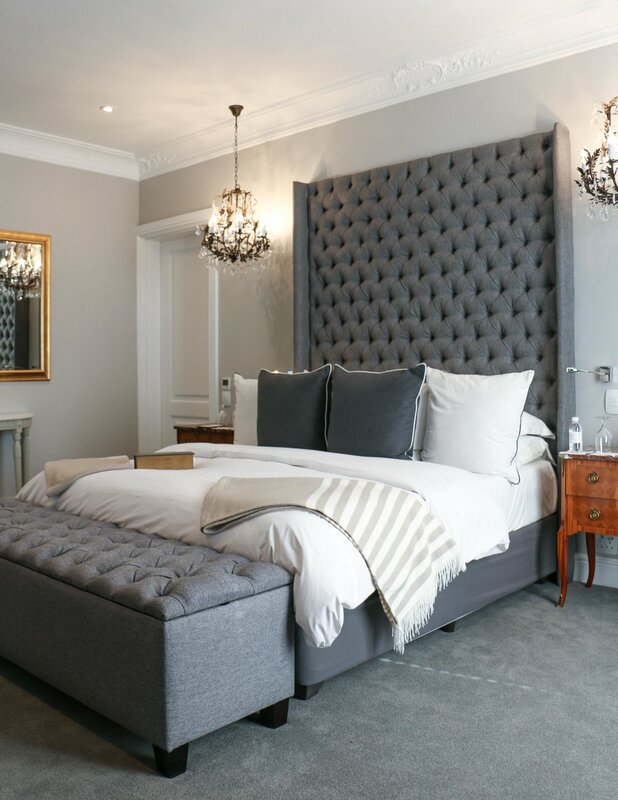 Previously a private residence, this all-suite hotel has been meticulously designed to impress and will meet even the most sophisticated guest's expectations. Although it's location is not within walking distance from local amenities, a short drive will take you to the heart of Sandton's business hub. With a distinct air of exclusivity that encloses the serene and secluded premises, Fairlawns is the perfect base for globetrotters that demand unrivaled privacy. There are just over 40 suites, housed in 3 separate chateau-like buildings which are discretetly positioned around the expansive grounds. 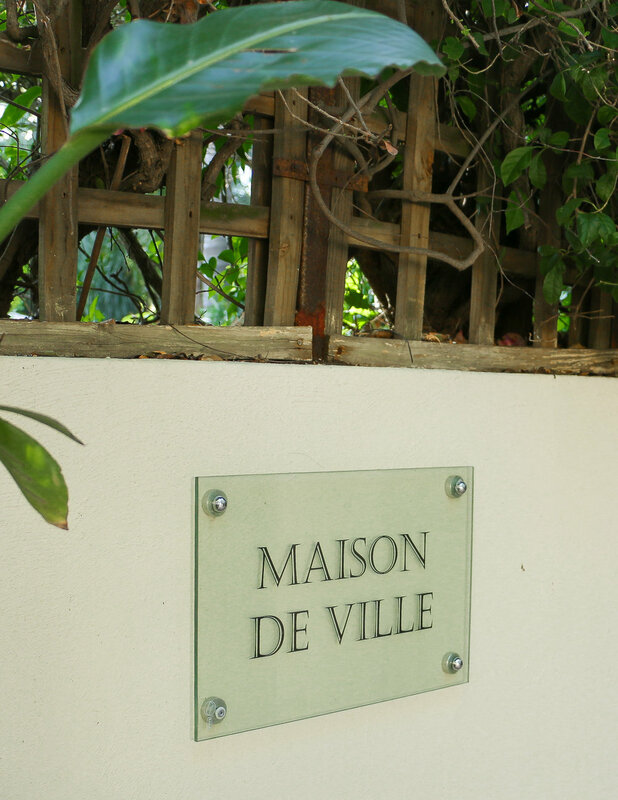 I had the pleasure of staying in their fabulous two bedroom pool villa, also known as the Maison de Ville. This spectacular residence has its own gorgeous garden featuring a huge sparkling azure pool bound by calming curtained cabanas. 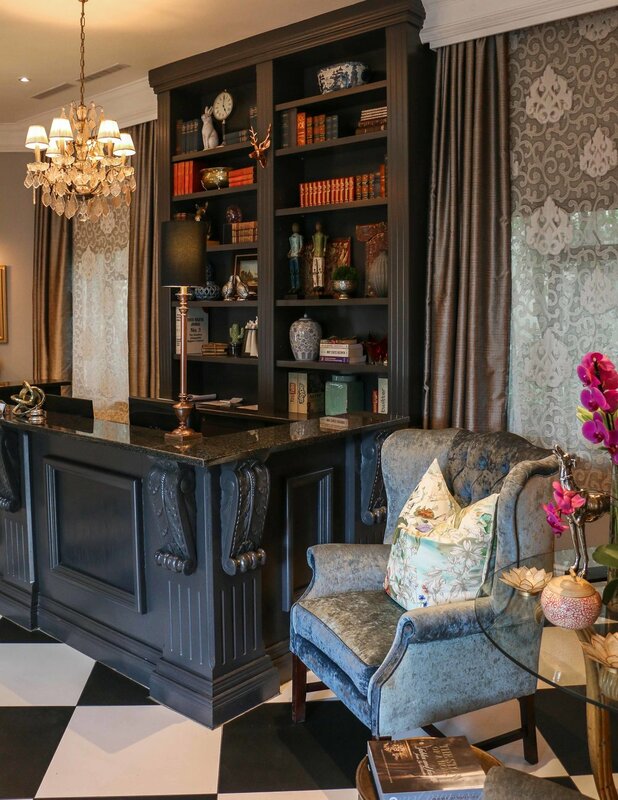 Despite its enormity, which includes a full gourmet kitchen (a private chef can be arranged upon request), personal study, huge dressing rooms and working fireplaces, the space is warm and welcoming. Beautiful indigenous artwork, premier quality finishes and lavish furnishings complete the hotel's showpiece quarters - a grand retreat fit for royalty. 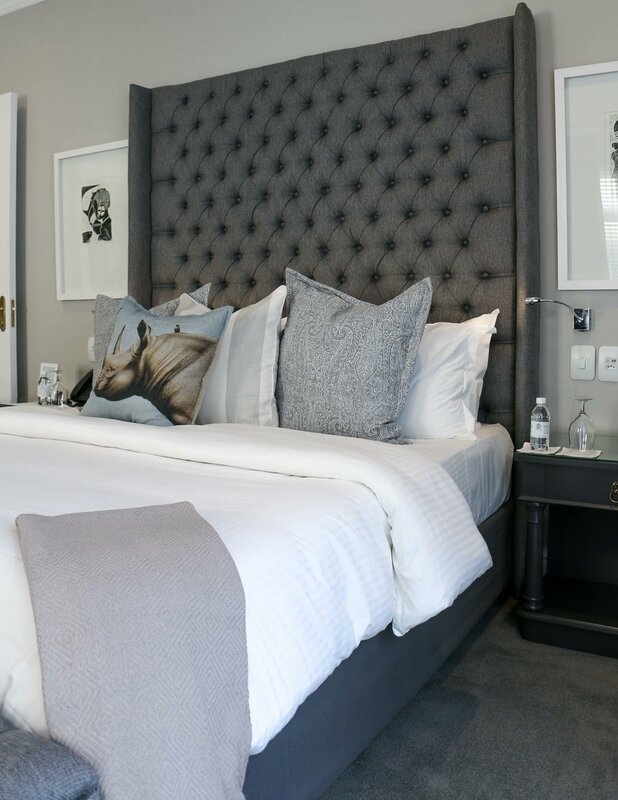 This luxury boutique hotel's splendid signature restaurant, Amuse-Bouche, showcases contemporary South African cuisine with a French undertone. The stylish eatery brags beautiful views over its lush surroundings through the floor to ceiling glass windows that encircle the space. During my stay I savored a scrumptious dinner paired with delectable wine by their knowledgable sommelier. I could taste that my delicious meal was made with only the best ingredients, and prepared by a team of passionate chefs. 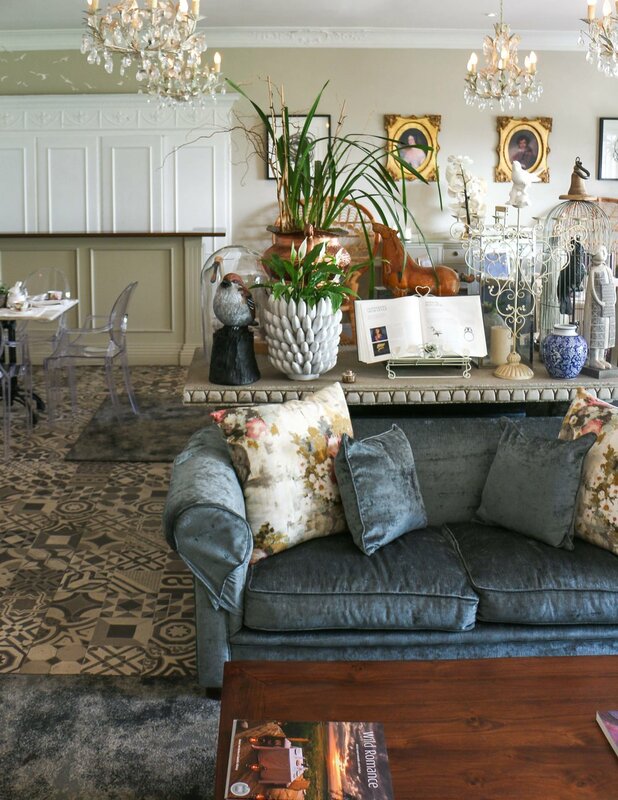 For a more casual repast you can relax at the Manor House Bistro - an eccentric parlor where light meals and high tea is served. And in case you want to throw a party of your own, the hotel also has a magical forest themed private dining room for up to 12 guests. 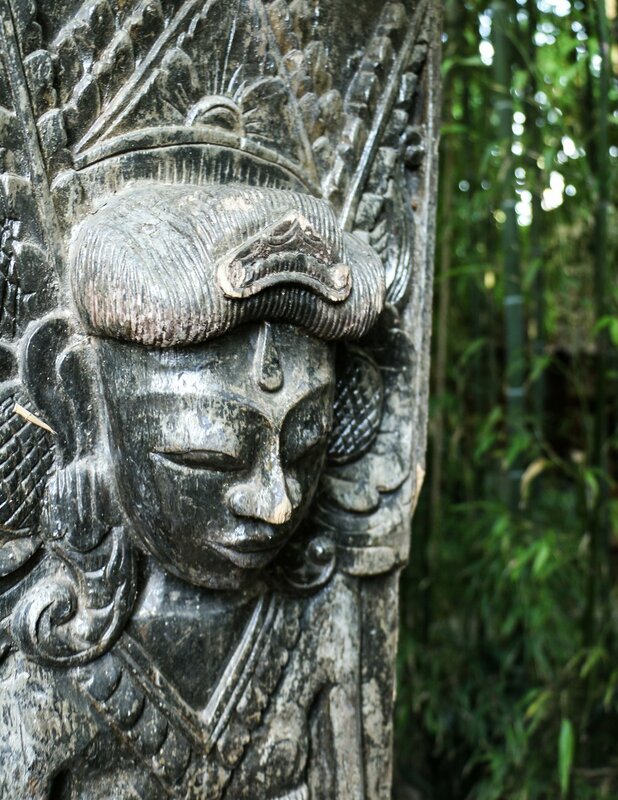 My favourite part of Fairlawns was the Balinese inspired spa - an almost mysterious oasis of calm, flanked by tall tropical plants and tranquil water features. Guests can enjoy a treatment indoors or in the spa gardens where private massage huts hide amongst the thick foliage. I managed to squeeze in a quick back and shoulder massage, which left me energized and de-stressed. To ensure maximum respite, I recommend booking in advance as the spa is very popular with locals (I don't blame them). The hotel's gym forms part of its wellness area and is huge by boutique standards - sporting a wide range of training equipment for cardio, strength and body workouts. Of course there is also the large main pool, staged within the magnificent gardens, where you can sip cocktails whilst soaking up the sun or relax on one of the plush covered daybeds. From the moment I arrived at Fairlawns I noticed their individual yet professional manner of interacting with guests. I was immediately welcomed by a friendly porter who escorted me to the hotel's eclectic reception area, where a refreshing towel and cool glass of cranberry juice awaited. After being courteously checked in, a friendly manager showed me to my villa and presented a brief tour of the immaculate space. Throughout my stay the staff's helpful demeanor and genuine passion was obvious, which in turn forged a warm and inconspicuous sense of hospitality. 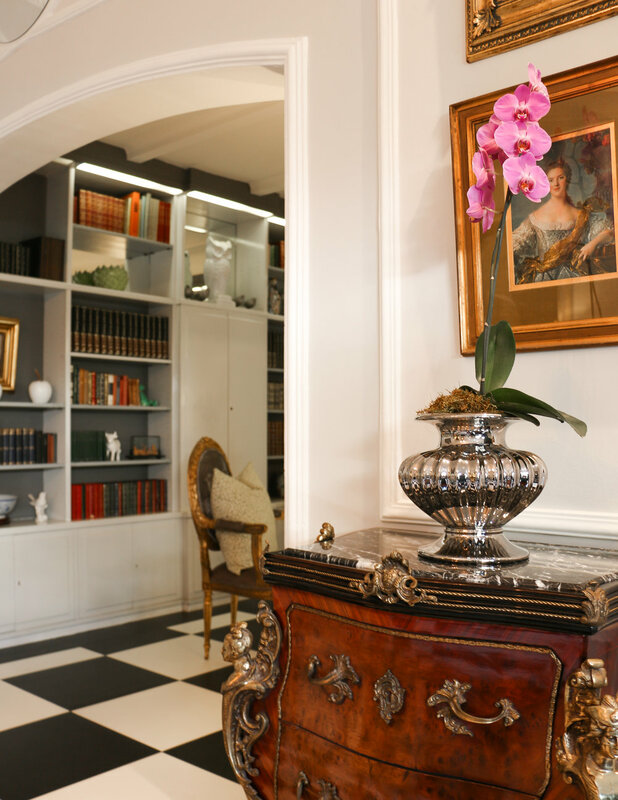 This unique hotel epitomizes classic boutique style with inimitable attention to detail. Its secluded surroundings, abundant onsite facilities and sincere service culture ensures a rare guest experience which surpasses convention. 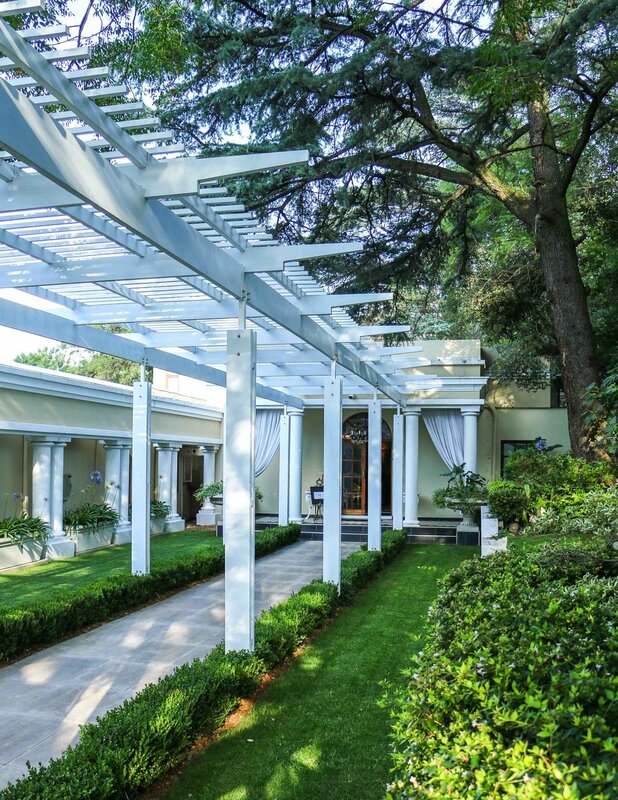 An unashamed haven for the avant-garde locals and elite jet set, Fairlawns has pioneered an opulent yet bona fide approach to luxury which completely agrees with the seasoned leisure or business traveller. I was kindly invited by the hotel to review, and my stay was complimentary.